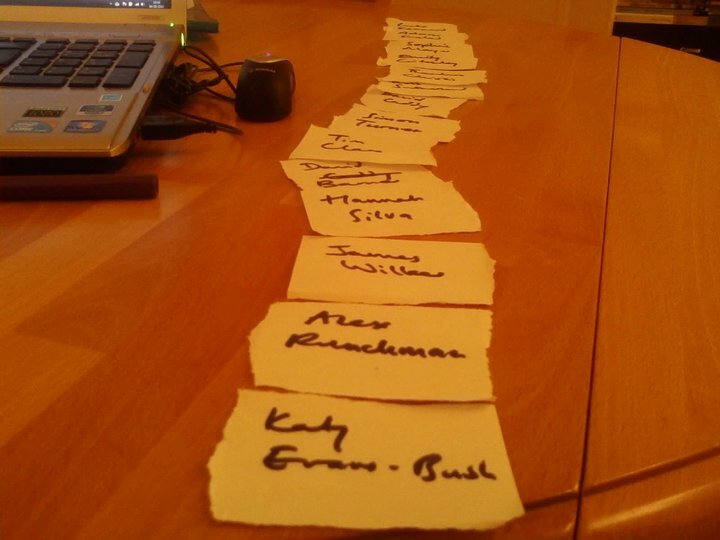 This trail of names is a secret glimpse into the life of a editor. Apparently these scraps of paper were used to decide the running order of essays in a book – a book of essays, as it happens, called Stress Fractures, to be published on October 1st by Penned in the Margins. I am very happy to have been asked to contribute to the book – a collection of essays by a gamut of practicing poets on any aspect of poetry practice that they felt like writing about. Wide-open brief and I suspect a very interesting collection. A book fell into my hands on Christmas Eve: a loan, a great Christmas present, from a friend who used to be a circus performer. Long out of print, it’s almost as hard to obtain as the condition it describes: On the High Wire, by Philippe Petit, translated by Paul Auster, with a foreword by Marcel Marceau. The book doesn’t mention Petit’s famous walk between the towers of the World Trade Center, but focuses on the mysteries of the high wire itself: technique, great walkers who have mastered it, and the spiritual impulse and discipline of the walk. I felt at the time that there was much more to say about this particular element of a poem, more than I could say in a blog format; so it’s been a great pleasure to have the chance to develop my ideas. I suppose I should say here that if you are interested in my ideas on the poetic line or any other prosodic aspect, you could sign up for my evening class at the Poetry School. Called “Making Poetry,” it starts in a month and will spend ten Tuesday nights a term examining the tools in the poetry toolbox. I’m told there are a few places left.